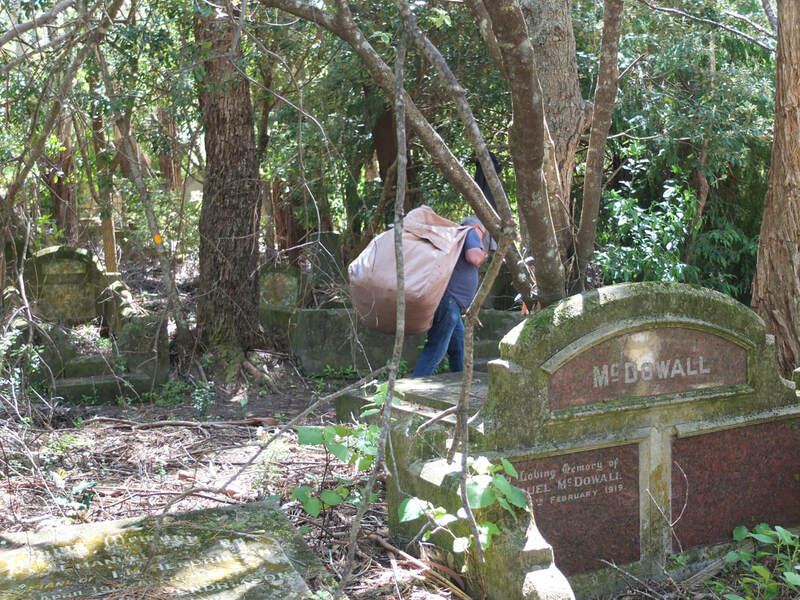 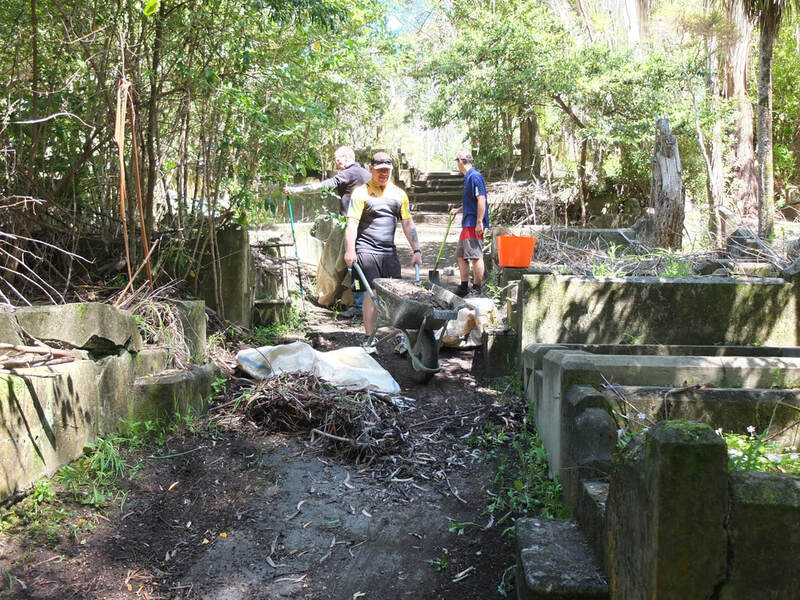 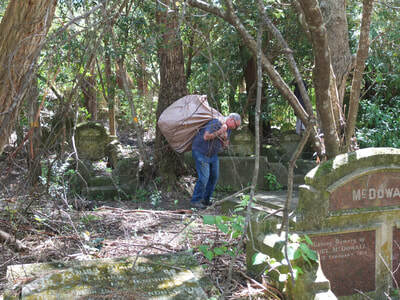 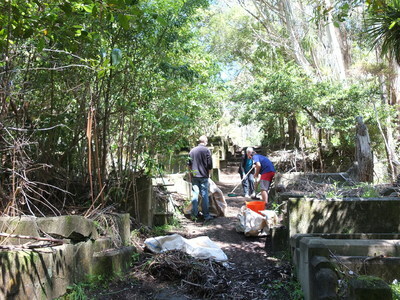 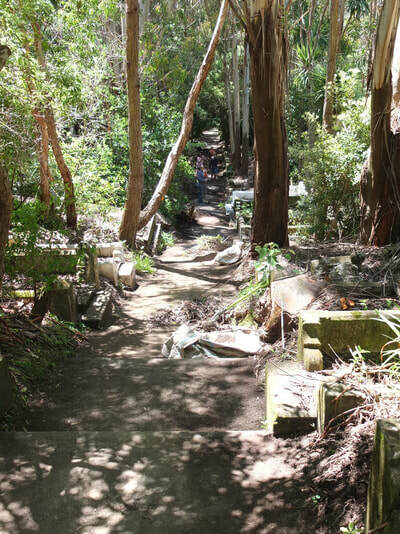 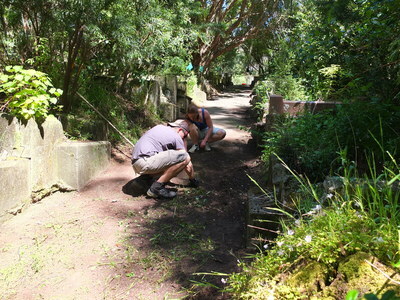 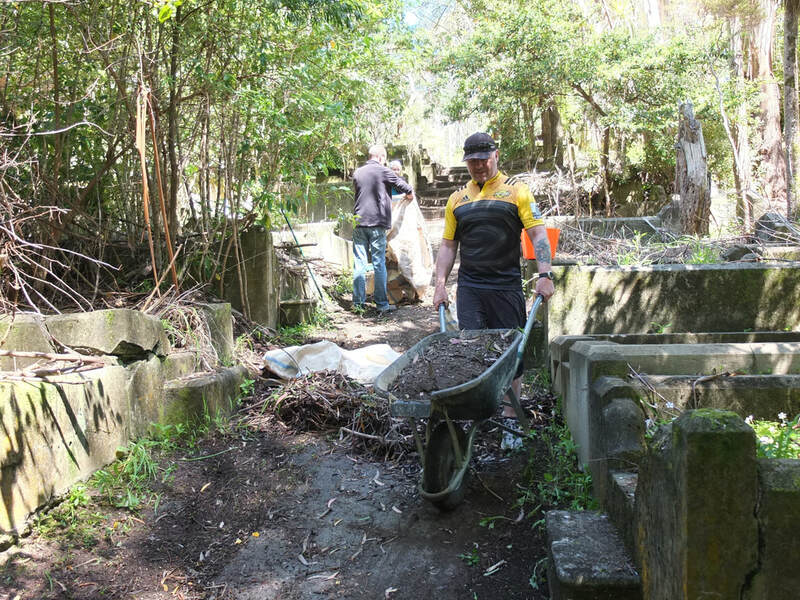 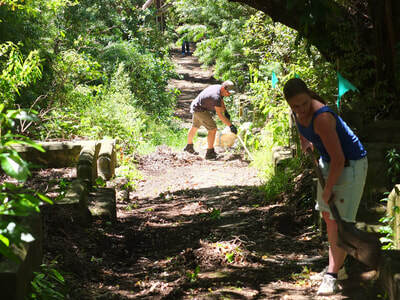 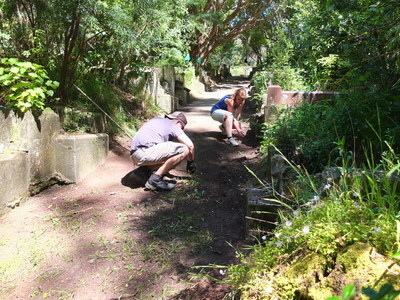 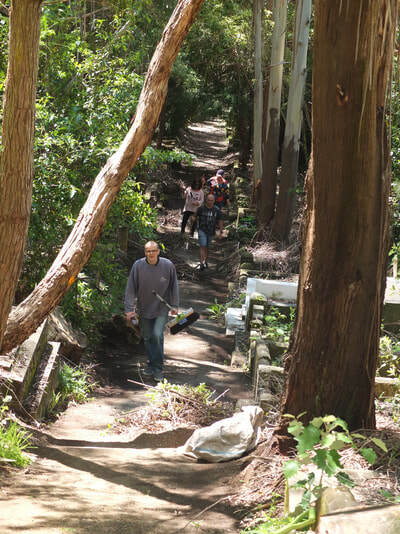 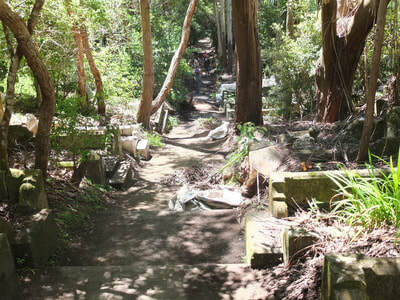 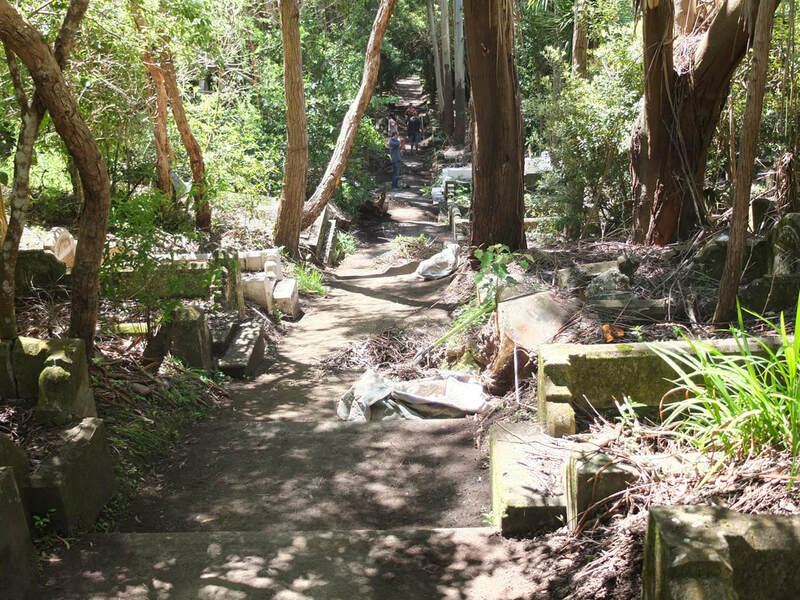 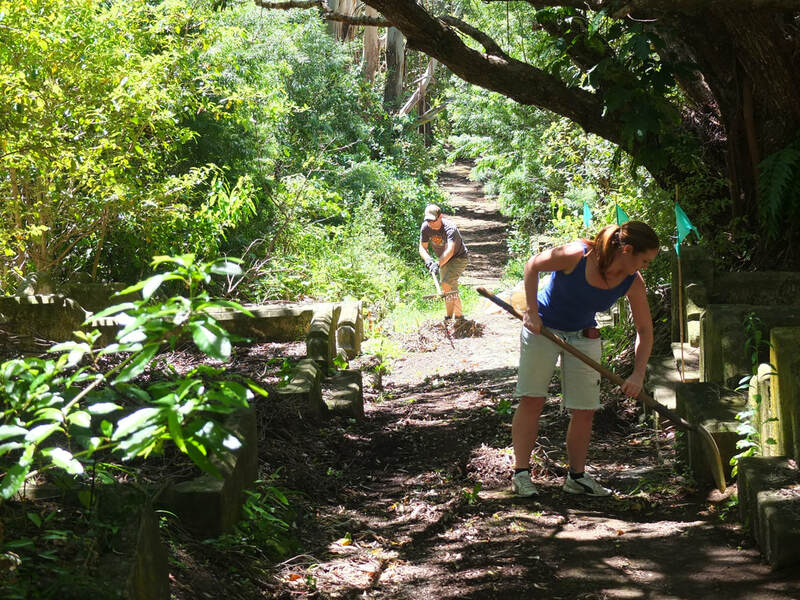 A dozen or so hard working volunteers from Datacom spent two hours sweeping, cleaning, and piling all the leaf and other litter from the paths in "Gum Gully" on Thursday 9 November, and then dragging, carrying or wheelbarrowing the resultant mounds of "rubbish" to a nearby dump site. Their efforts and hard work will make a huge difference to the activities of the working bees in the next few months - we'll be able to focus our attention on the plots where people who died in the flu were buried, rather than clearing the way to create access. 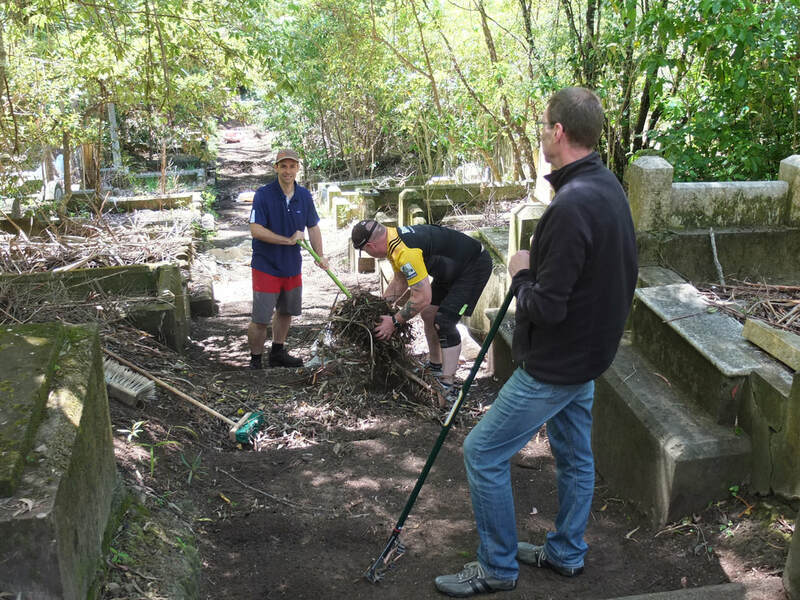 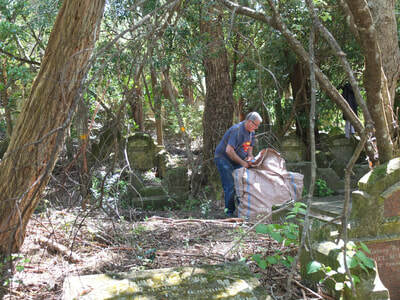 So, many thanks to all the team from Datacom Ltd. - we really, really appreciate the work you did.